I'm an industry brat from way back to the 1970s. My father was a television and documentary film producer and ran a modeling school and photo studio for a time. I was an assistant on some of his productions and worked in his studio loading film and still cameras, mixing chemicals, setting lights, etc. I also volunteered at WQED TV making titles, floor directing, pulling cables, building and tearing down sets. I also worked on the lighting crew for Mr. Roger's Neighborhood and did some extra work for that show. I've always had an interest in photography and film-making and one of my hobby cameras was a 16mm Bolex. But I've also used Hasselblad, Nikon, Minolta, Pentax, Bell & Howell, Sony, and Minox cameras. I was still in high school when I scored my first published photo. It was a portrait of a local politician, Joe Rhodes for his Congressional campaign poster. I moved to California in 1973 and studied Natural and Available Light Photography at what is now Academy of Art University. In the intervening years I've developed a number of other talents. I've been a professional cook in a number of restaurants. I'm a licensed EMT. I have recent training as a Hazardous Materials Technician and in Urban Search and Rescue. In 2003, I was Editor-In-Chief of a college newspaper and won numerous awards. During that time I studied digital photography and film-making. I also took Drama lessons, performed on-stage and got a speaking part in a film our class produced. I currently operate a portrait studio and I also shoot public and private events. I can ride a horse, I love swimming underwater, and I have firearms and some martial arts training. My passport is current. 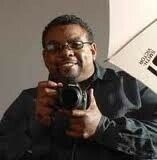 If you are looking for a reliable great to work with photography professional, look no further than Bill Clearlake. Bill is a professional photographer that works tirelessly to make sure your event, product or project has the very best photographic images. I highly recommend him to anyone needing the services of a professional photographer.